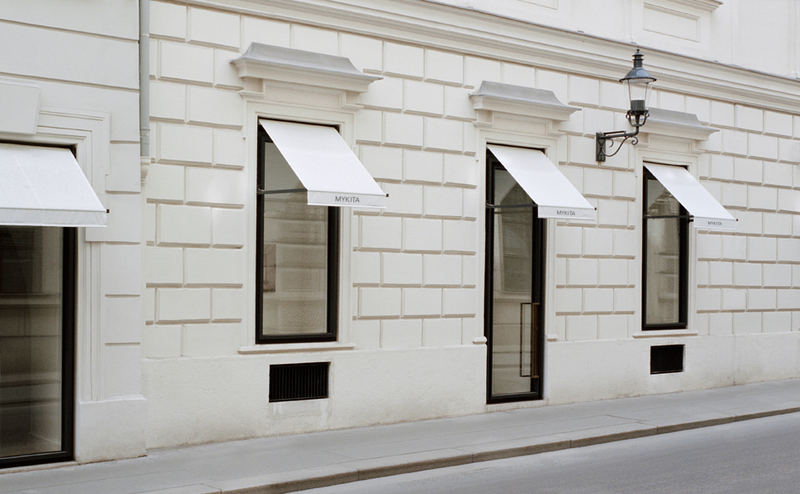 Herrengasse 19, 1010 Wien – Centrally located in the First District, the MYKITA Shop Vienna is housed in a classical baroque Palais. Inside the stately façade, a large shop floor covering over 90 square metres opens up. Vaulted ceilings up to five metres high and tall windows create a dramatic atmosphere with a touch of the ecclesiastical. 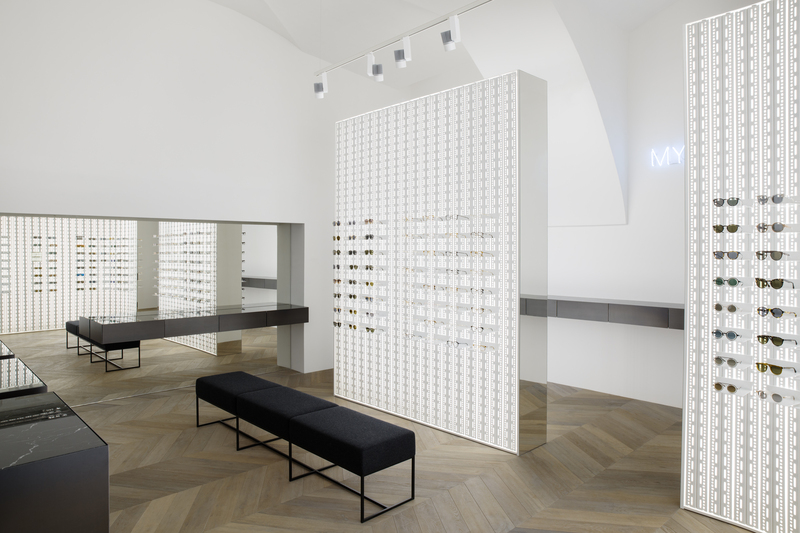 MYKITA’s reduced design language adds modern urban contrast to the palatial space. 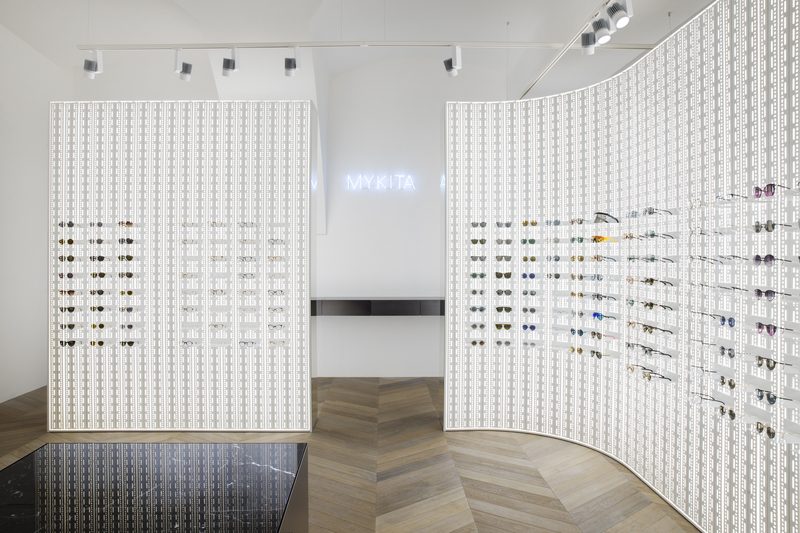 Walls and ceilings are kept free from fixtures allowing the majestic room absolute breathing space; the signature white MYKITA WALL is incorporated as a freestanding installation. 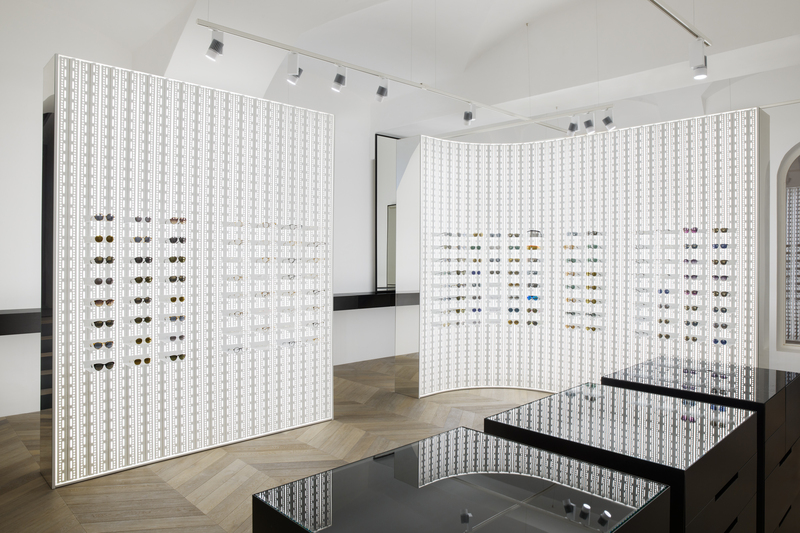 The expansive space offers a comprehensive optical service and the complete MYKITA collections.